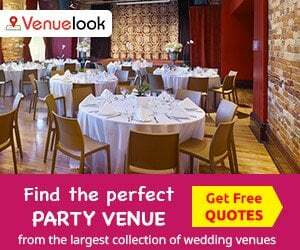 Home / Baby Shower / Organize a Safari Theme Party! 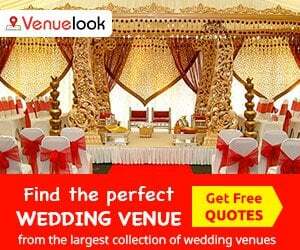 Parties are organized from time to time to spend some good time with near and dear ones or to mingle with acquaintances. For your next party, consider planning it around the theme – Safari! This is the trendiest theme this year. 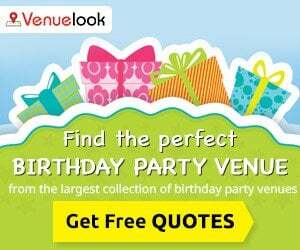 Safari theme parties are perfect for men and women and immensely enjoyable. If you are planning a Safari theme party this year, following are some ideas that can make it Zing! Safari theme is a great idea, but, the fun must begin right from making first impressions, that is, invitations for the party. These days, the trend of sending e-cards is on the rise. If you are planning something like this, you can choose a card that is most suited to the theme of the party with some animal voices added to the background, making it wow! In case you are planning paper invitations, you can impart a passport look with a jungle seal imprinted on the cover. African jungles are quite popular for safaris and the seal of this jungle will lend authenticity to the theme. 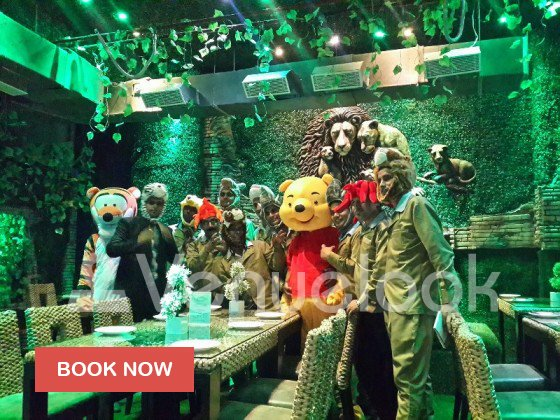 Check out Jungle Jamboree, Gurgaon, an ideal place to host this theme party. As soon as the guests start arriving, they can be handed jungle masks to wear. Kids as well as adults will enjoy them. You can also plan an activity where the guests are asked to create their favourite animal mask. 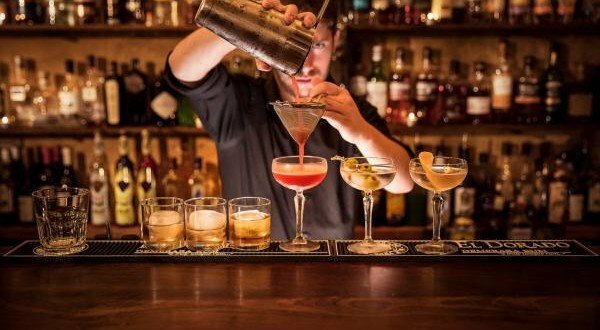 Materials for the activity should be provided in great variety so that every guest can get his innovative-best while creating his favourite mask. 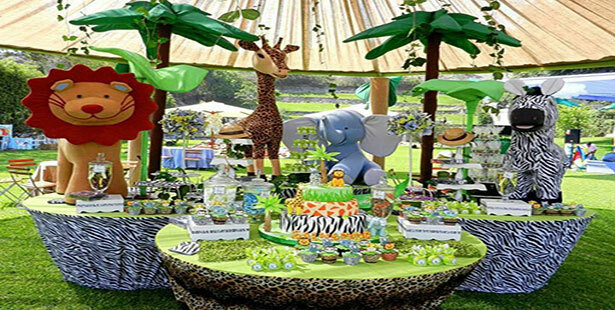 Since the theme of the party is Safari, the decoration of the place should be such that it resembles a mini jungle. 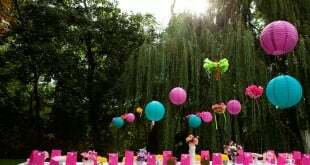 To lend authenticity to this theme, trees can be created using green coloured helium filled balloons which can be tied using brown steamers. Paper monkeys can be attached to them. Hosts can dress up in Safari costume – wearing khakis, cargo shorts, hats and other safari attire. In case, it is a birthday party, the cake can be in the shape of an animal. 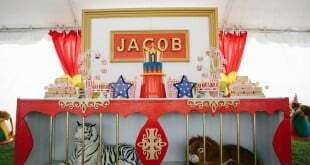 The cake table can be decorated using jungle themed prints like tiger stripes or giraffe spots or more. Music with the jungle as a theme can be played in the background. Stuffed animals can also be placed here and there. 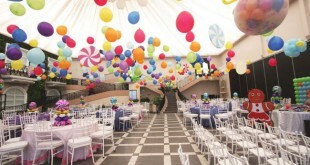 Confetti in animal shapes is also a good idea to make the decorations appealing and interesting as per the theme chosen. The crockery and cutlery chosen for the party can have animal prints. Solid colours should be used but care should be taken that the colours are not overwhelming. When ordering for supplies, care should be taken that cups, plates, utensils, spoons, etc. are perfect as per the theme. A menu for the party should also be chosen with great care. Keep lots of salads, raw vegetables and barbeque items that are appropriate for the safari theme party. The most important highlight of this party are going to be the games and activities that are chosen to add fun element to the party. Activities like “Into the Waterhole”, “kiddy pools”, “hanging bridges”, “vines for swinging” and more should be considered.